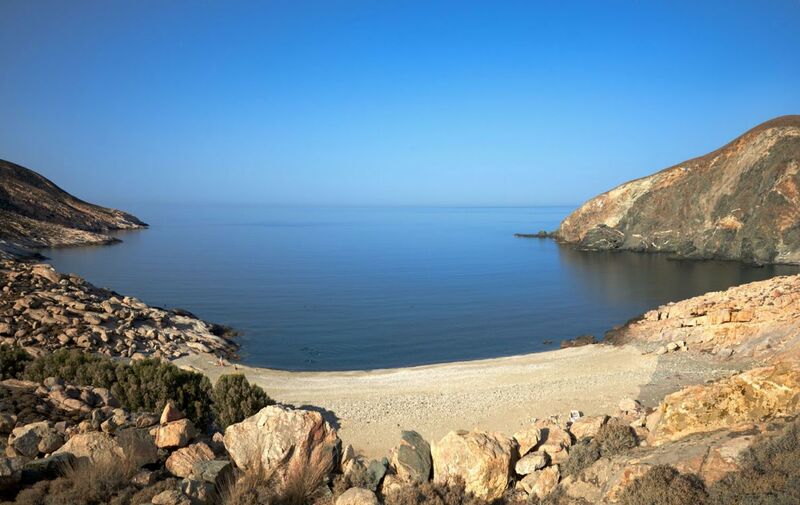 For much of the year Tinos is good to visit. 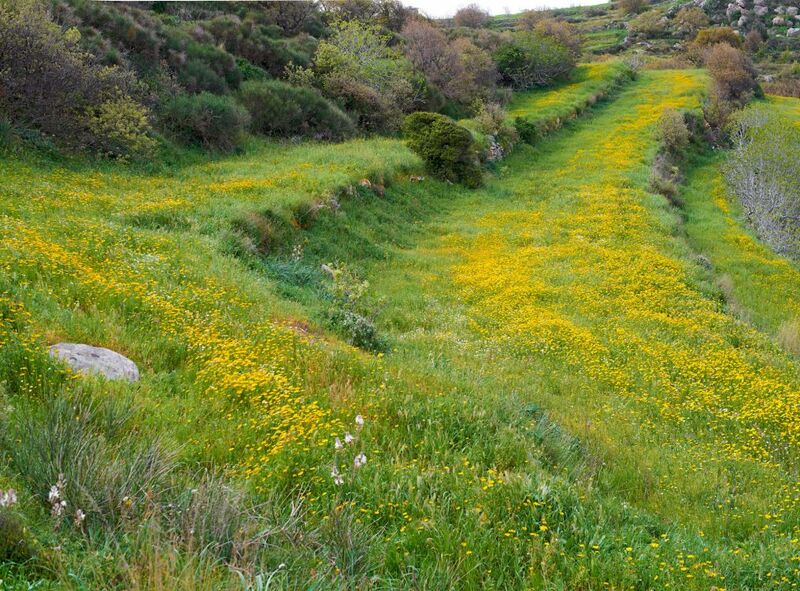 Spring is exceptionally beautiful, perfect for strolling in lush green meadows surrounded by wild flowers. Summer is busy with lively beaches and parties, and never too hot. Autumn remains warm enough for swimming on almost deserted beaches and great for walking the ancient paths and country roads. Christmas is lively too, and cosy at Xinara House with open wood fire and our cinema. 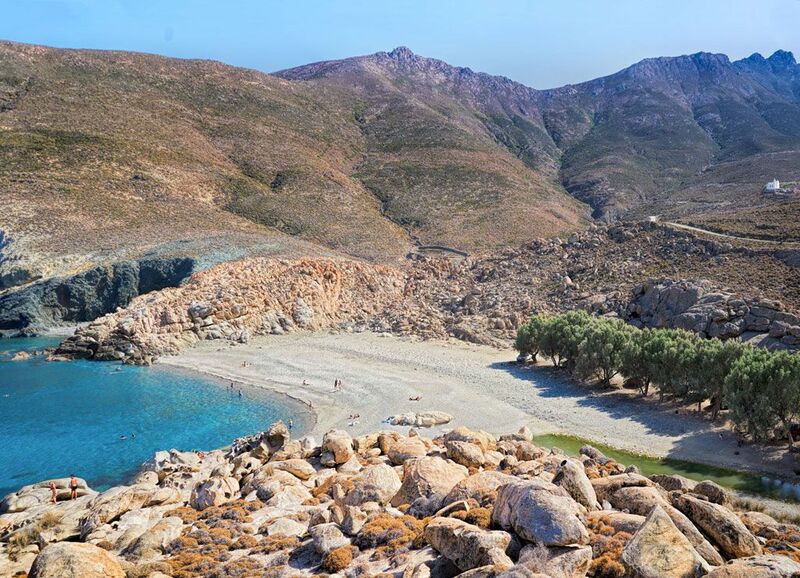 It takes around an hour and half to drive from the wild north-west Tinos coast overlooking Andros, through the pretty marble town of Pyrgos, passing terraced slopes, ancient white villages, to the sandy beaches facing Mykonos in the south east. Halfway is the Tinos port, the principal town with old-fashioned shops, lots of tavernas, a daily farmers' market, fresh fish and meat. Here is the extraordinary church of Panagia Evangelistria, a Greek Lourdes with an ikon venerated by pilgrims who travel from all over Greece and can often be seen crawling the 500m uphill from the harbour to the church. 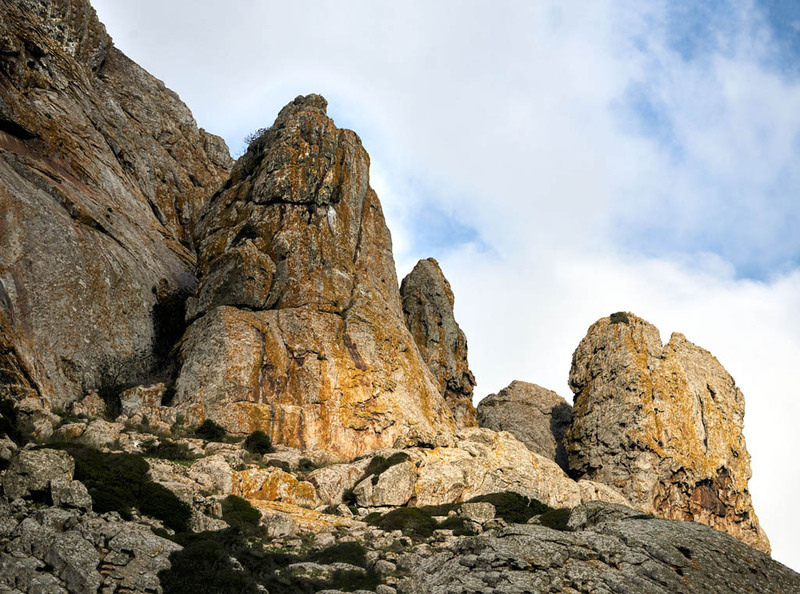 Practise and improve your climbing skills with 360º Mediteranean views a few minutes walk from Xinara House. 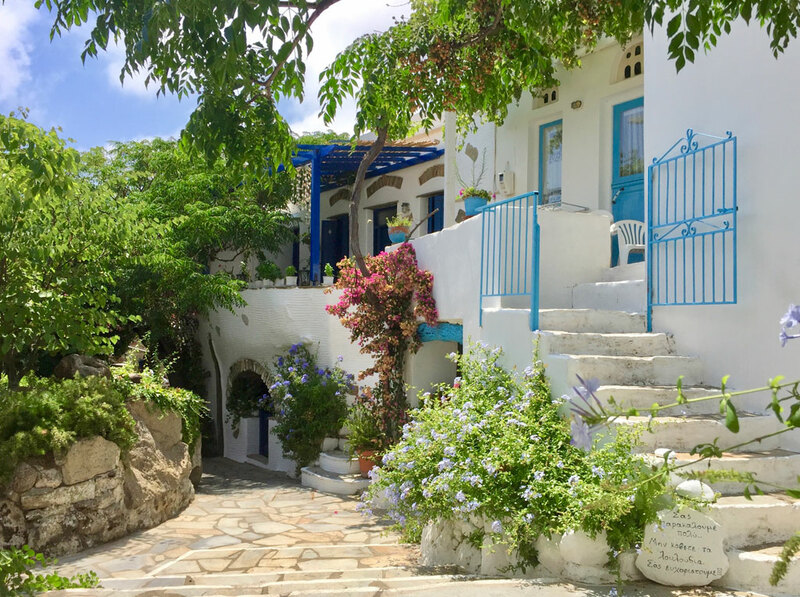 Xinara House is in ancient Xinara at the heart of Tinos with Mediterranean views of both sides of the island visible from our gardens, with one of the best sandy beaches less than fifteen minutes drive away. 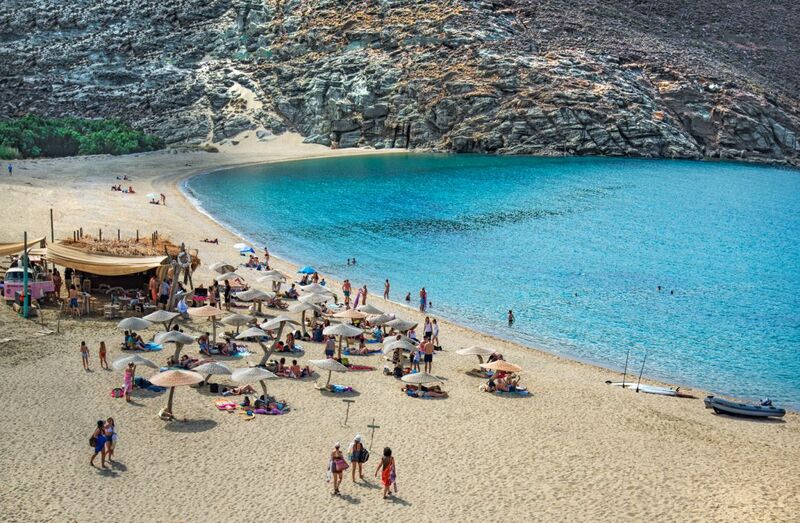 Many beaches have simple tavernas, a few have beach bars, lots are barely visited. 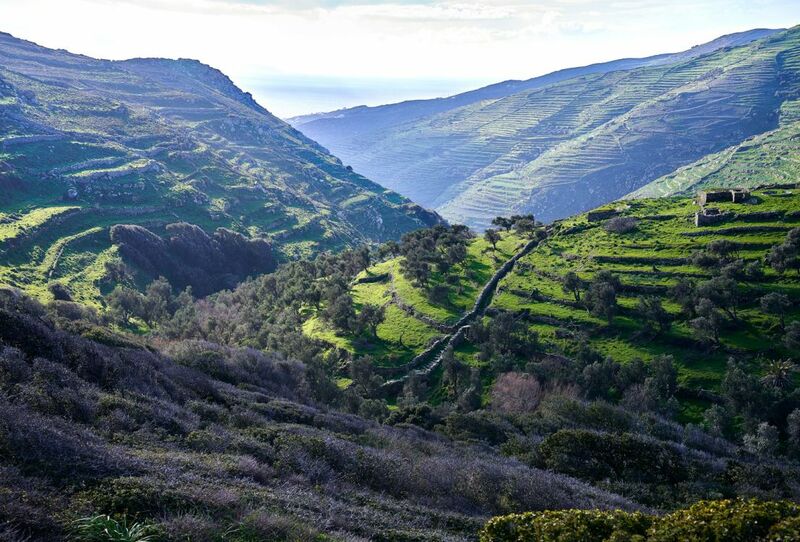 Examples are the breathtakingly beautiful Lavada beach (above), windsurfing, social Kolimbythra on the north side, and on the south, beneath the old church at Stavros, a tiny beach in the ruins of a Phoenician harbour. At Ag. Fokas are smart loungers served by excellent Marathia restaurant, or around pretty Kardiana you can have cocktails along a succession of sandy beaches. 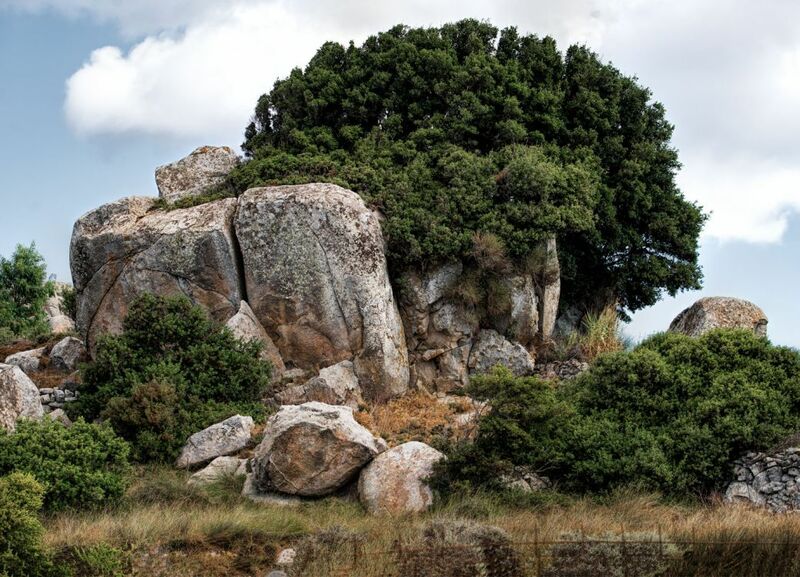 Most extraordinary is the proliferation of ancient decorated dovecotes, a sort of folk art with stone arrangements of checkered, fishbone, cedar, or criss-cross patterns, with finials sprouting oddly-shaped ears of stone. Flocks of white doves remain all over the island although they are no longer a source of food (or guano). 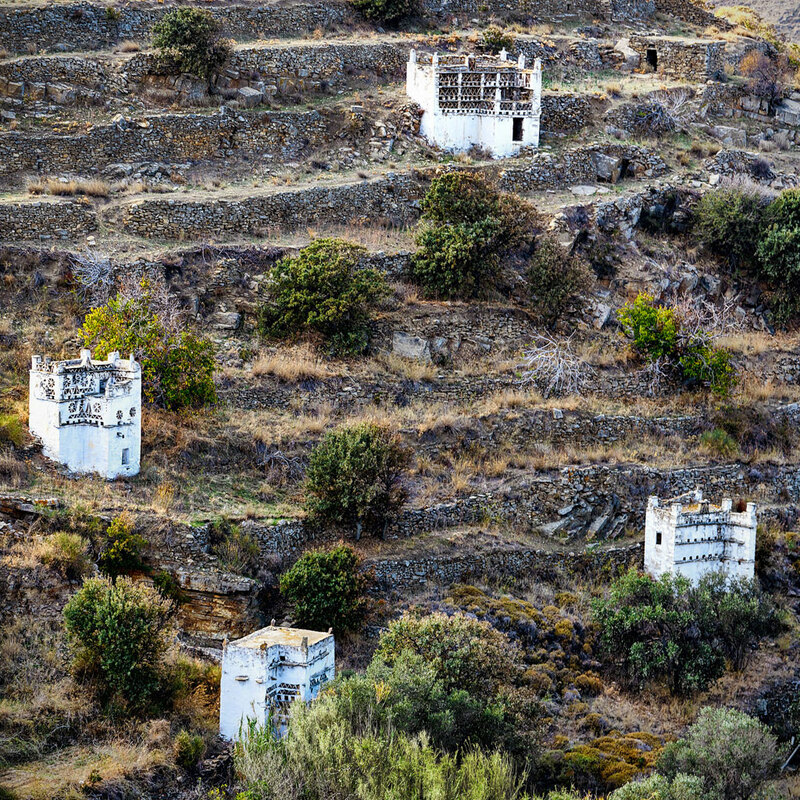 While lots of the old dovecotes are in ruins many are still maintained, and even a few new ones are built. Xinara house has a miniture example. 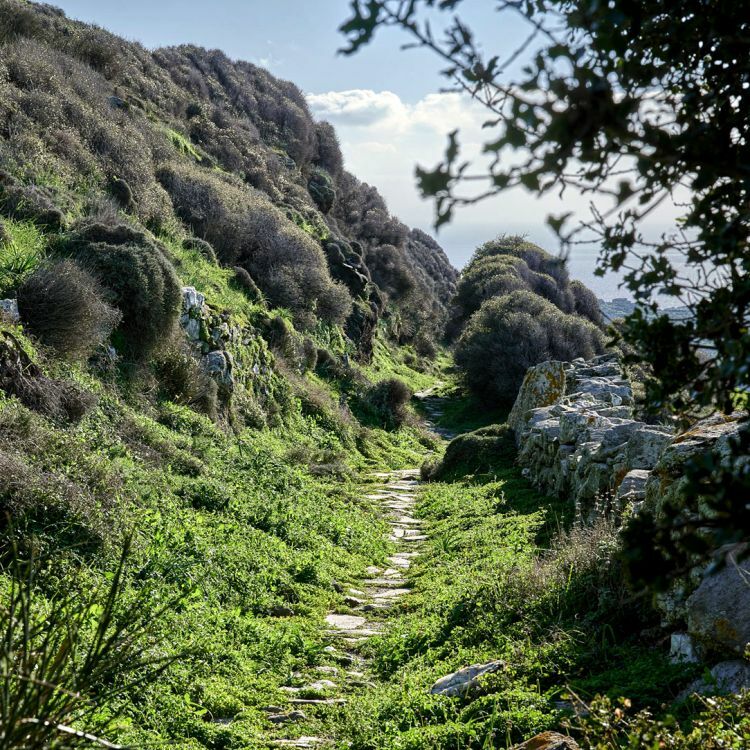 You can walk all over Tinos on a network of old donkey tracks, recently signposted. 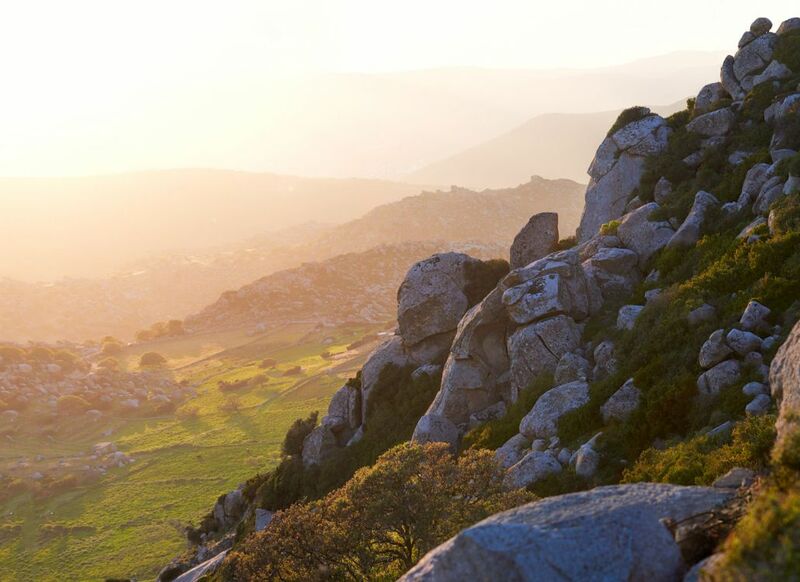 From the back of Xinara House villas you can easily reach the top of Exomvouga mountain (for climbing see above). 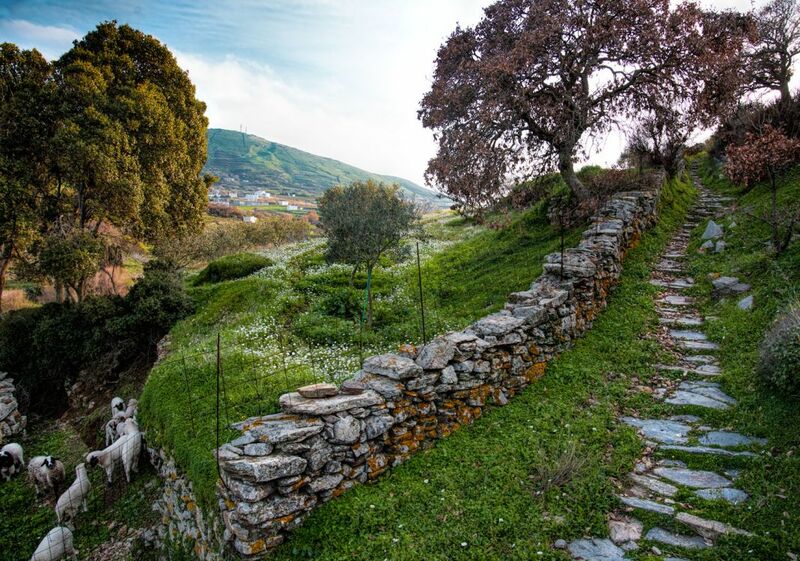 Or you may go down to the port by walking the pleasant ancient stone road right into town, or go swimming by hiking across to the old wine town of Falatados and on down through an exquisite wooded valley to the sea (and a summer taverna) at Lavada. We can arrange guided walks with food and transfers. 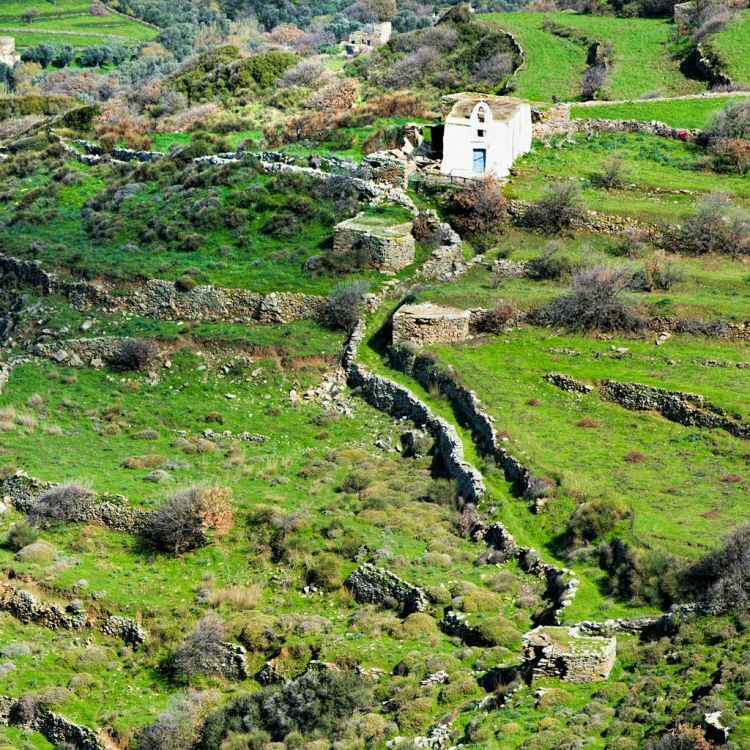 Tinos still has an unusual number of traditional Cyclades villages, white-painted homes tightlypacked like sugar cubes along cool car-free lanes often barely visible from the road. 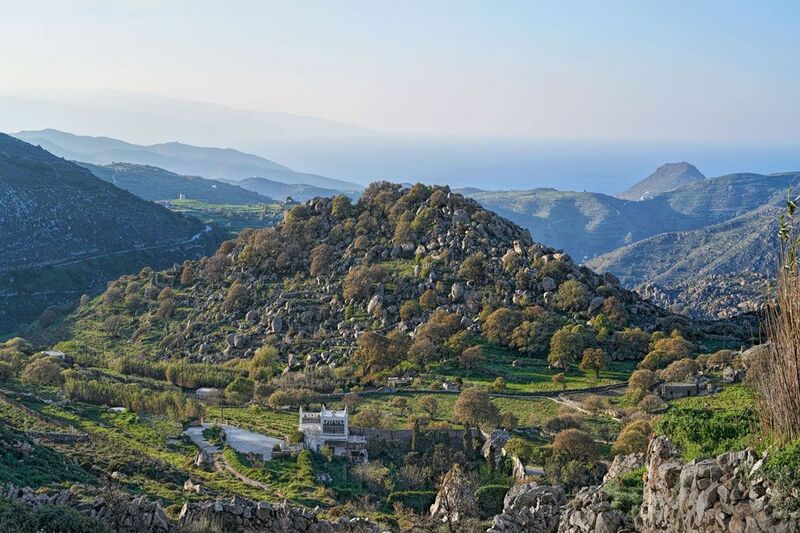 Because Tinos has a tradition of quarrying and carving the houses are decorated with pretty marble features – decorated doorways, Old decorative carved fanlights, etc. (Xinara House has many examples from the 18th century). The villages put on festivals and traditional parties with food, live island music, and dancing often into the small hours, like the big annual artichoke festival of Komi, with huge quantities of food utilising every conceivable artichoke recipe. 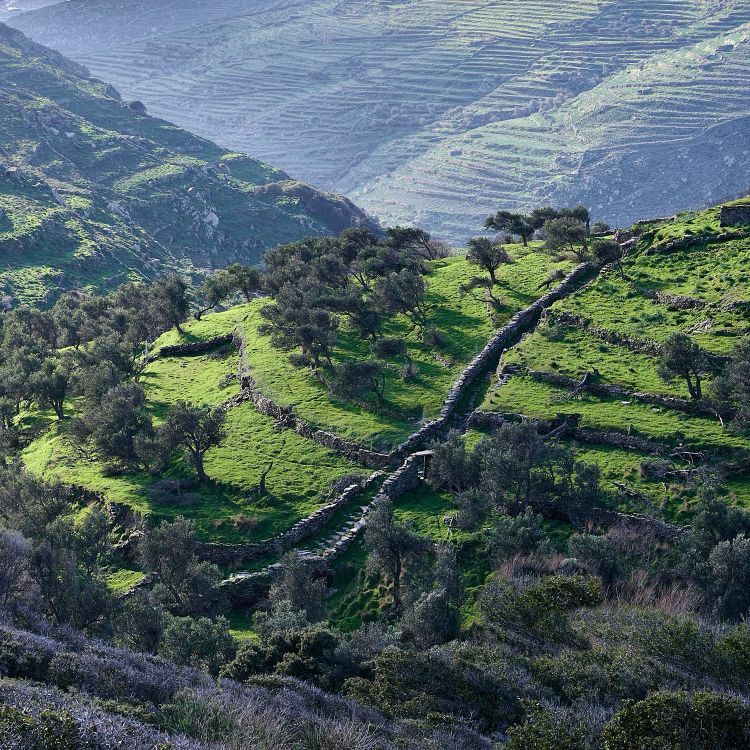 Tinos has always had good wine, with a couple of rare ancient varieties of grape that survived the arrival of phylloxera. 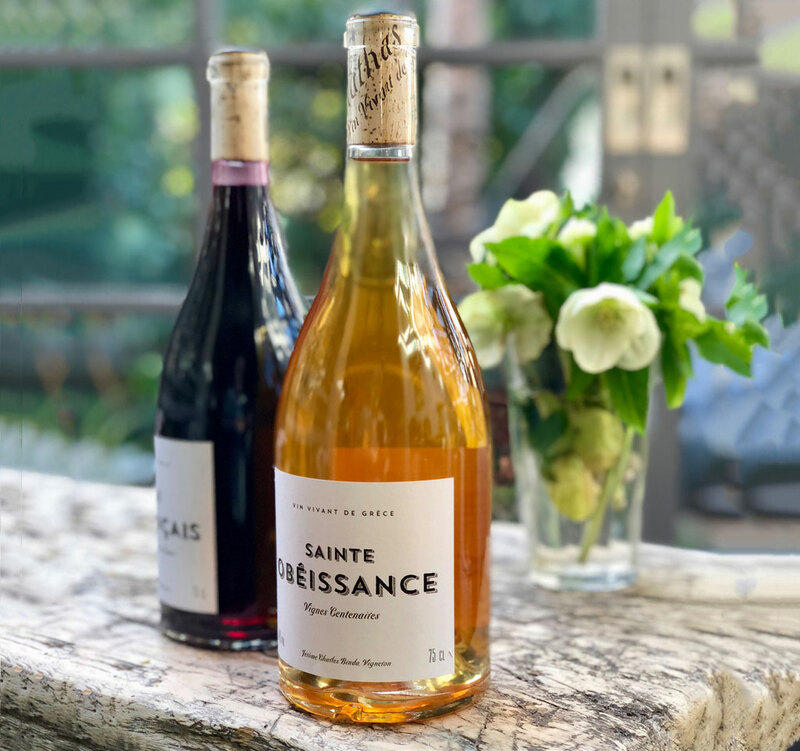 A recent renaissance of the old vineyards has encouraged expert wine producers. 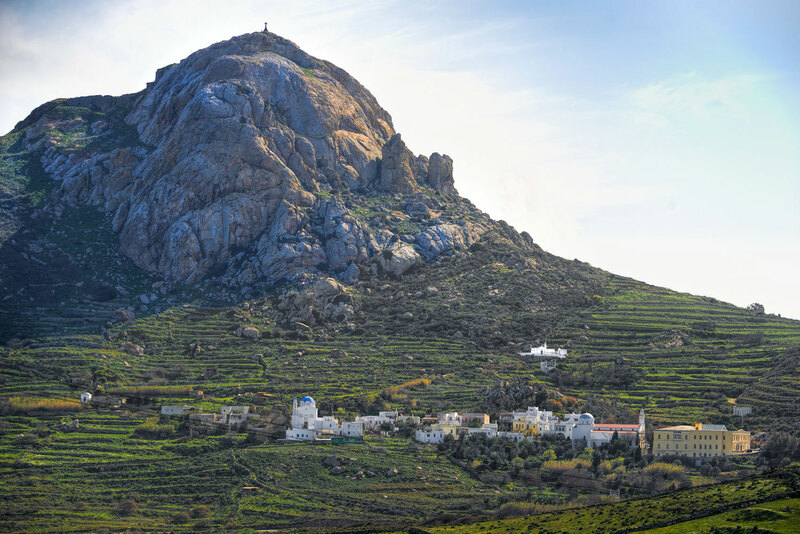 There are exceptional wines such as T-oinos, and great organic wines from Volacus, Domaine Kalathas and others.